The FC-32 is a high-performance format converter for DVI-D signals. 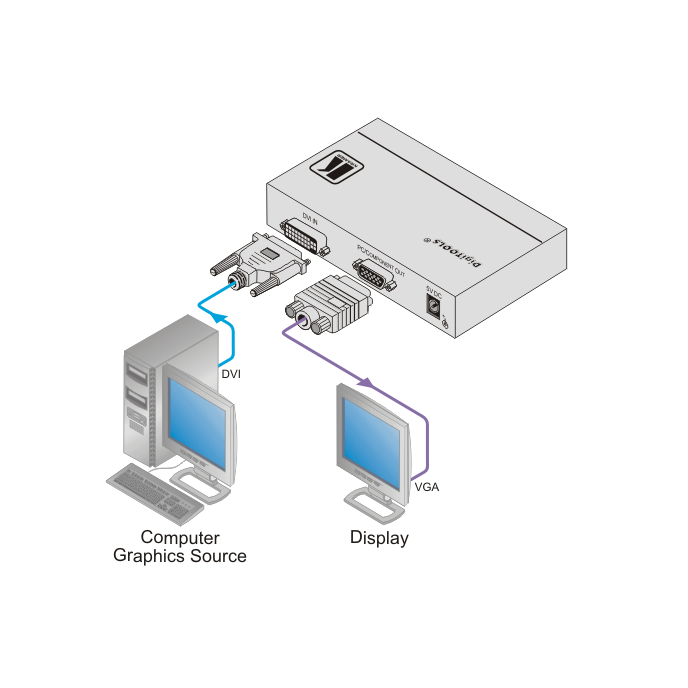 The unit converts (without scaling) a DVI-D input to a computer graphics or component video output on a 15-pin HD connector. Computer Graphics Video or Component (HDTV) Selector Switch.